Do you need to register your alarm? 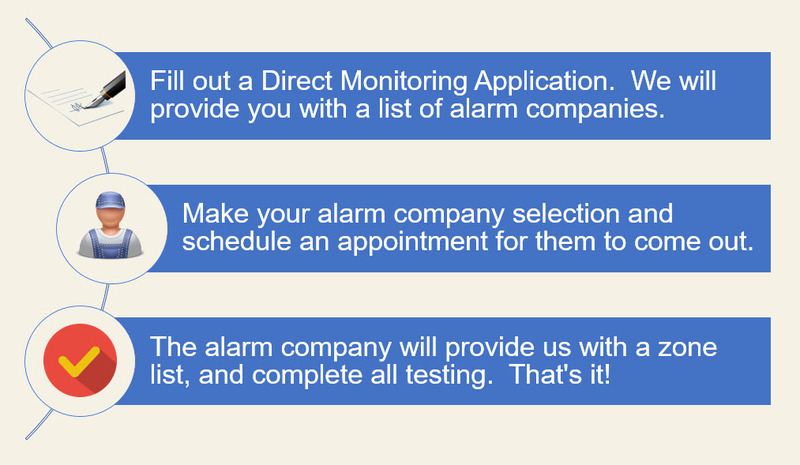 Do you need to sign up for RESIDENTIAL Direct Alarm Monitoring? 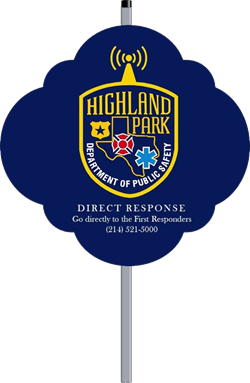 The Highland Park Department of Public Safety offers direct alarm monitoring, which bypasses the need for a separate monitoring center and speeds up response time in case of an activation. The fees are $28 for alarm signal monitoring by landline telephone, $35 for cellular line service, or $35 for a cellular line with landline service as backup. Do you need to sign up for COMMERCIAL Direct Alarm Monitoring? Do you need to order a yard sign and window decals? Every Direct Alarm subscriber is eligible for one yard sign, and four reusable window decals upon signup. An additional sign and four decals are available every two years thereafter, upon request. Request a sign and decals. Do you need to update your emergency contact information? Would you like to register your security camera system? Whether you are a residence or a business, registering your security camera system can help Detectives with HPDPS investigate criminal offenses that have occurred in town, if your cameras recorded a suspect or suspect vehicle without your knowledge. The information you provide regarding your camera system will be for official use only and will remain confidential. This information will not be distributed except as required by law, or a court order. This program is voluntary, and you can withdraw from it at any time. If you would like to register your security camera system, please fill out the form here: Security Camera Registration Form. Do you need to cancel your alarm services? If you are moving, or need to cancel your alarm services for any reason, please complete a Direct Monitoring Disconnect Form. This way we can discontinue billing, and arrange to pick up any signs. Have your forgotten your disregard code? Your disregard code is a word, numbers, or combination of both. You chose this when you applied for Direct Alarm Services. This code is necessary to inquire about your account, update your account, cancel your services, or to have police/fire/EMS canceled in the event of a false alarm. If you have forgotten your code, you can change it here. What are the charges for false alarms? Fire, Environmental, and Panic alarms are not counted toward false alarms. An alarm which is canceled and an officer does not respond to the alarm site, does not count as a false alarm. All false alarm fees are billed through utilities. You may also email these forms.